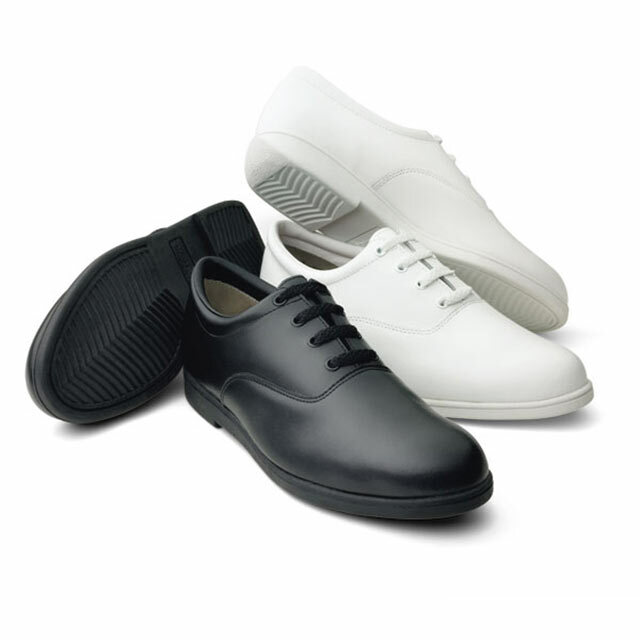 SPIN is a leather shoe designed expressly for colorguards. 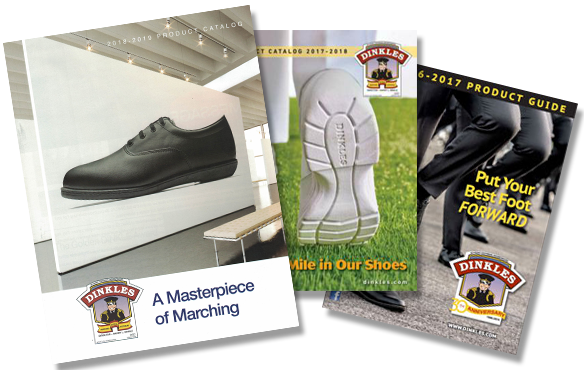 Band directors, colorguard instructors and colorguard members have been demanding a guard shoe with Split-sole Look, Split-sole Design. 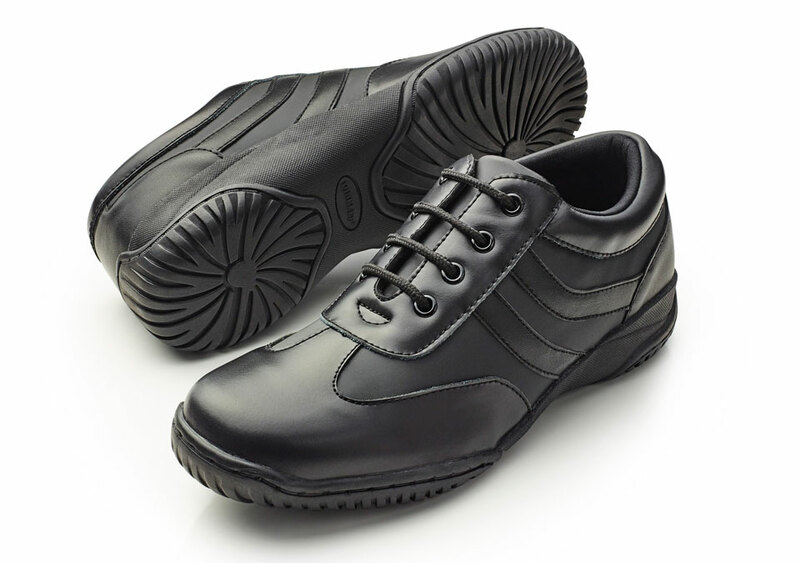 And most importantly, Split-sole Function. DINKLES listened, and now we’re proud to introduce SPIN! 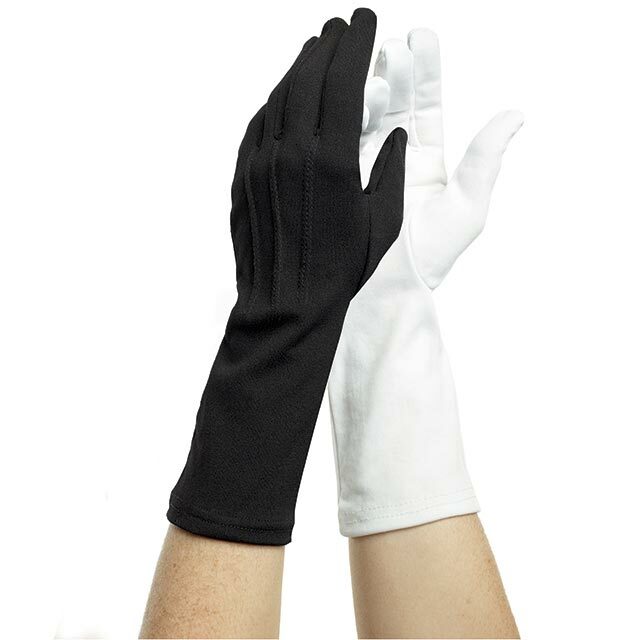 The all new DINKLES SPIN is designed for women only and is available in popular Black. SPIN can be worn indoors or out. 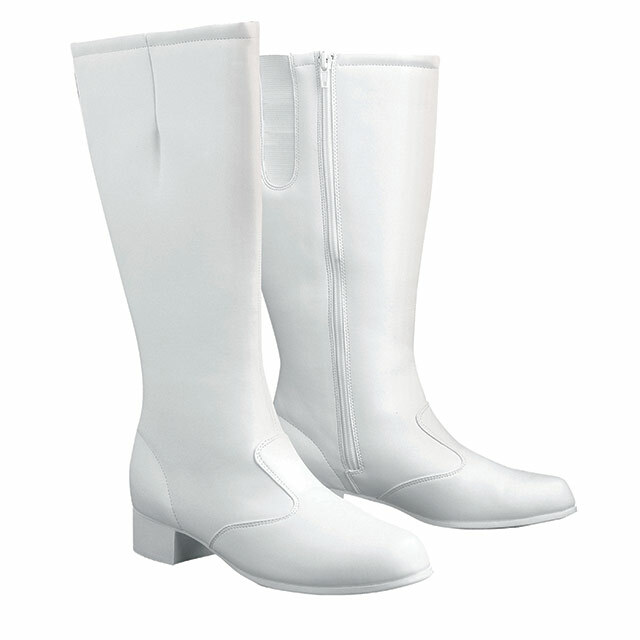 You will not have to worry about the sole coming loose or getting wet feet on damp fields. 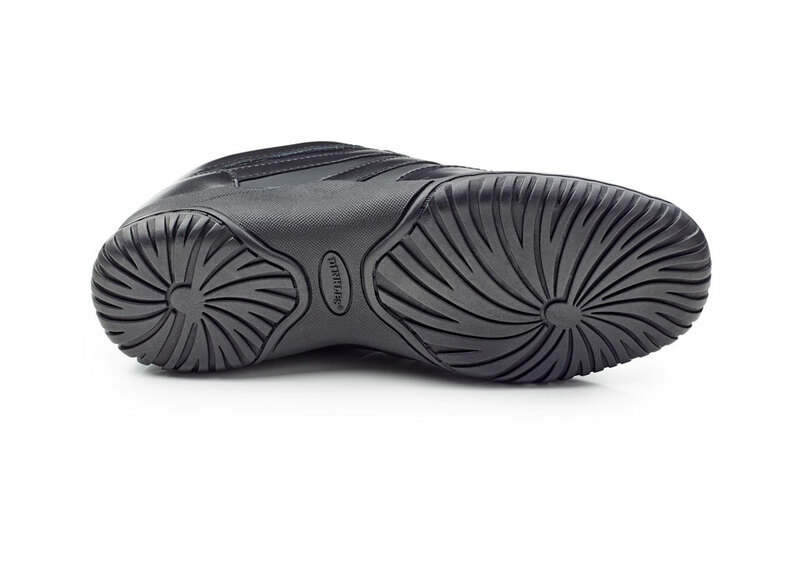 The insole is ⅜ inch think soft EVA covered with Knitfit lining.